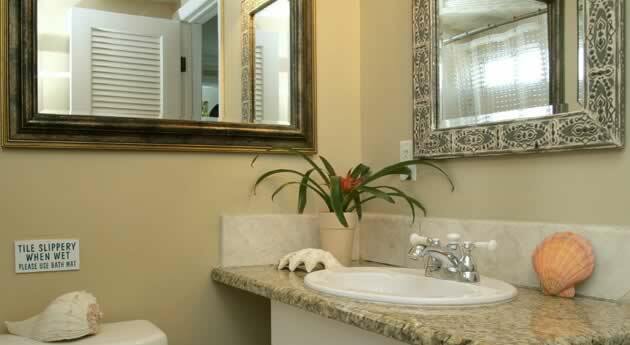 Our beautiful and very private Cayman Suite has five-star furnishings with a Tommy Bahama King bed with luxury linens and extra pillows, a walk-in marble shower, full size kitchen, leather furniture, fireplace (electric flame), TV with satellite package and WiFi. Decorated with local art, this lovely cottage has an open floor plan with a 9-ft. sliding glass door that gives you spectacular ocean views. The front deck has a cafe table and chairs, and a private Jacuzzi for two. It’s the perfect place to enjoy your morning coffee and watch the sun rise over the ocean. 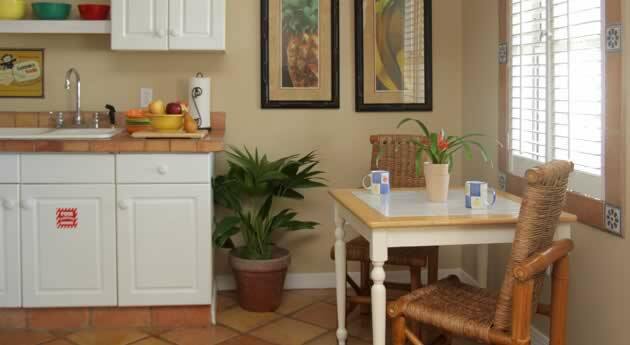 This suite accommodates no more than two people and is on the second level. There is a complimentary laundry next to the pool. The guest barbeque grill is located in the pool area. You can help yourself to the towels, beach chairs, and umbrellas for use at the beach. It doesn’t get any better than this.